Have you ever try to fall asleep with a dripping faucet sound that is so irritating and you have no idea how to stop it. 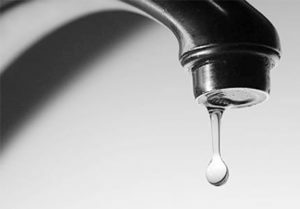 A dripping faucet can and will be a key contributing reason to your high utility bill. 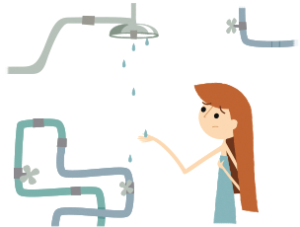 Water entering your home is under pressure to move it through the pipes. When you turn off the tap, rubber or silicone-based washers form a water-tight seal that prevents more water from pushing its way through the pipes and out of the faucet. Over time, washers can become stiff, torn or dislodged, allowing a tiny trickle of water through and creating that annoying drip. 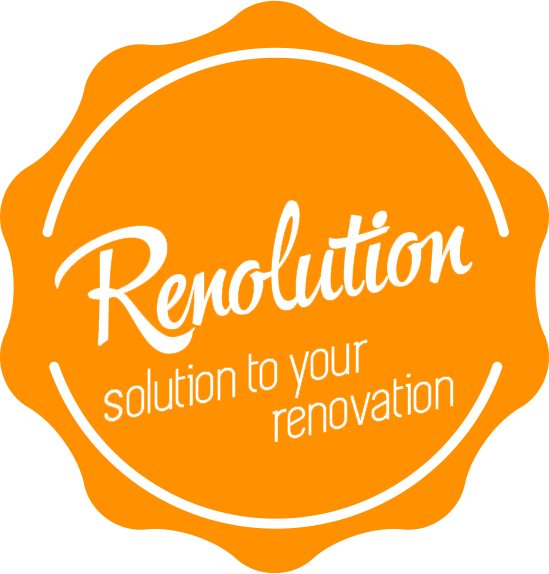 If you are considering to change it yourself, it can be quite challenging and you will need a specialized tool to do it. If the leak has gone on long enough, the valve seat may become worn or corroded, necessitating a more involved repair that’s best left to a professional plumber. When water that should gush only trickles from the tap, you have low water pressure. It might not be related to the pipes in your house but to the municipal water supply. It’s rare, but a break in a main line can temporarily reduce your water pressure. A more common cause of this problem is a build-up of deposits or sediment on faucet aerators. If you’re tired of jiggling the handle to make your toilet behave after flushing, it might be time to replace its inner workings. Toilets leakages happen usually when the flapper valve that lets water pass from the tank to the bowl no longer fits properly, the float is imbalanced or the fill tube comes loose. Toilet repair kits work for most models and require little effort to install. Whether your regular inspection reveals a puddle under a pipe or you get an unpleasant surprise when you reach under your sink, leaks can be a costly nuisance. 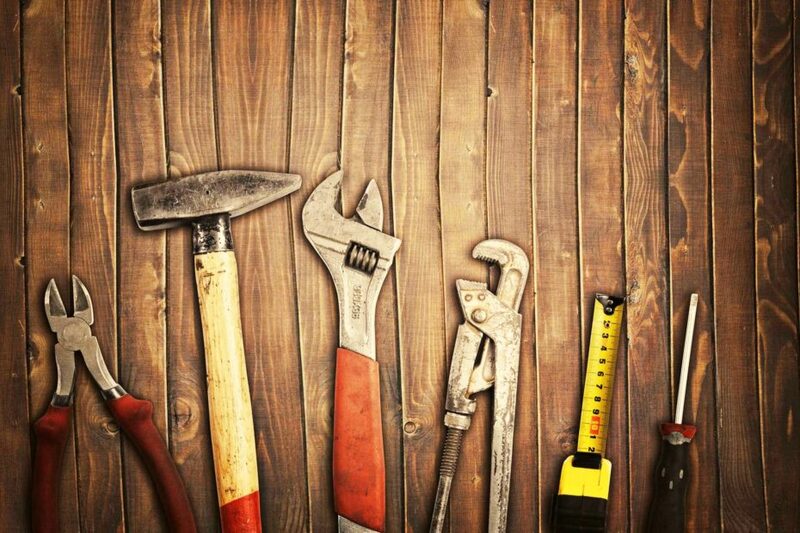 Leaks usually happen at joints, which is why commercial joint fillers and fitting compounds occupy plenty of shelf space in your local hardware store. These products are a temporary fix, though; a permanent plumbing repair may mean replacing a length of pipe or its fittings. 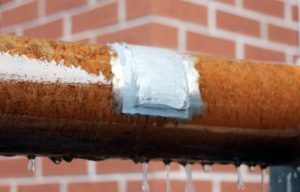 Until the plumber can get to your leak, use a compression clamp and a rubber sheet or leak tape. 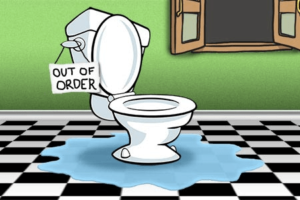 When the water that goes into your sink, tub or toilet won’t go out, you probably have a partial or complete clog. In many cases, your trusty plunger can fix the problem. Plungers use air pressure to dislodge a clog, but they can’t remove it entirely. Commercial drain cleaners and clog removers are safe for most drains for occasional use, but these caustic materials can damage some pipe materials if used too frequently. If you’re dealing with clogs on a regular basis, it’s time to call a professional plumber.